Teresa VanHatten-Granath has single-handedly helped to diminish the use of disposable plastic shopping bags worldwide with the simple act of sewing! 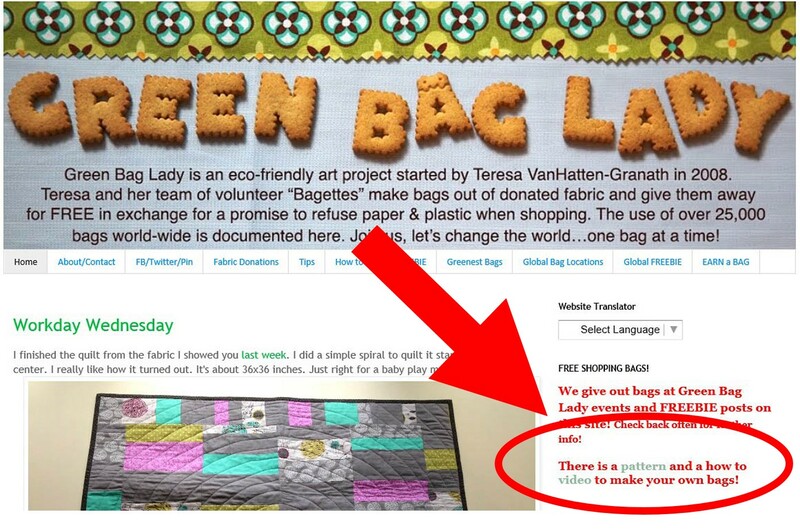 Teresa started the Green Bag Lady eco-friendly art project in 2008. She and her team of volunteer “Bagettes” make fabric bags out of donated material and give them away for FREE in exchange for a promise to use them instead of paper or plastic. To date they have given away over 27,000 bags worldwide! Discover how you can help Teresa’s cause through a local chapter or donations by visiting the official Green Bag Lady blog, and be sure to “like” the Green Bag Lady at Facebook. 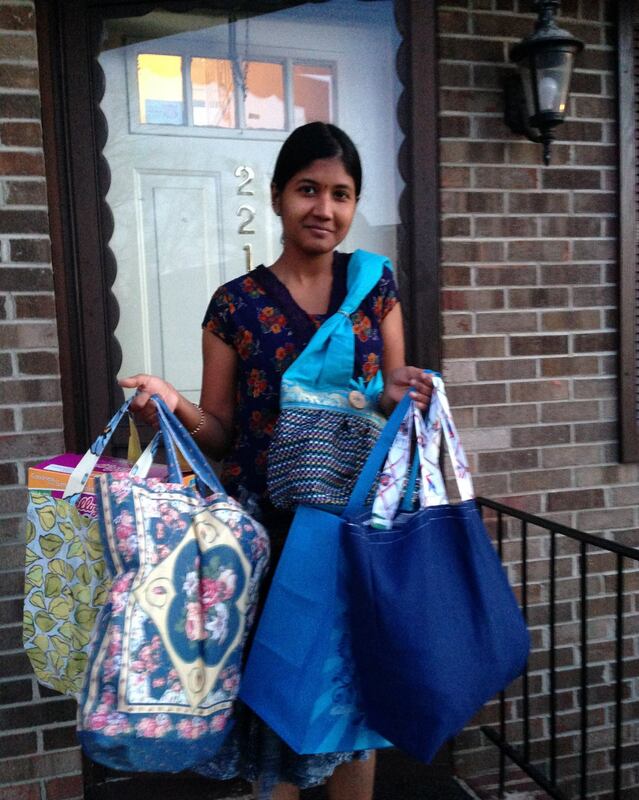 Get inspired to sew bags of your own and give as gifts! Sewing a simple shopping bag is easy – but you don’t have to take my word for it, see for yourself in these awesome tutorials! 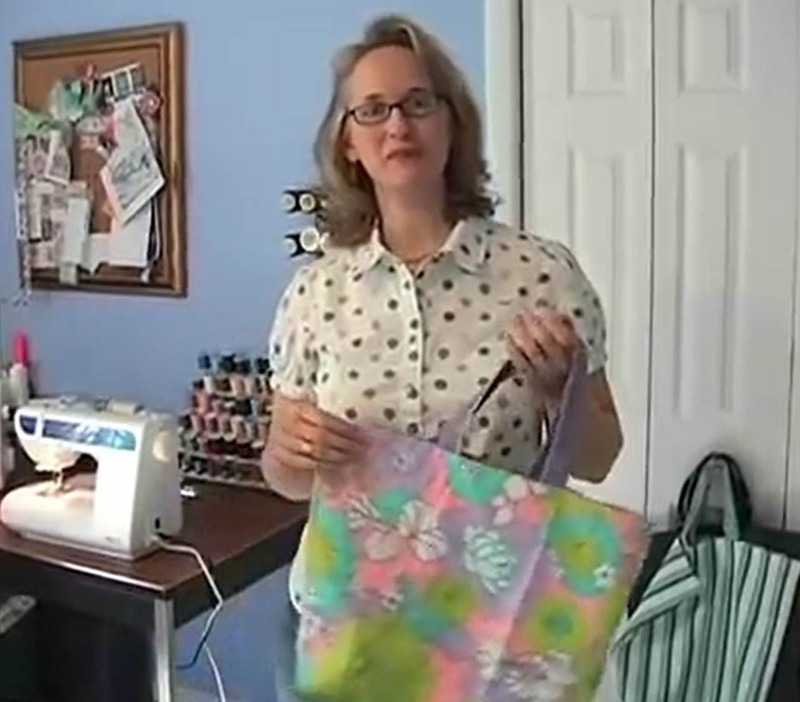 Learn how the Green Bag Lady herself makes a quick-as-lightning shopping bag! Download the PDF pattern from the Green Bag Lady website (see below where to find pattern), and watch Teresa’s awesome video tutorial to learn how to stitch up your reusable green bags. Find the link to the free PDF green shopping bag pattern HERE at the Green Bag Lady. 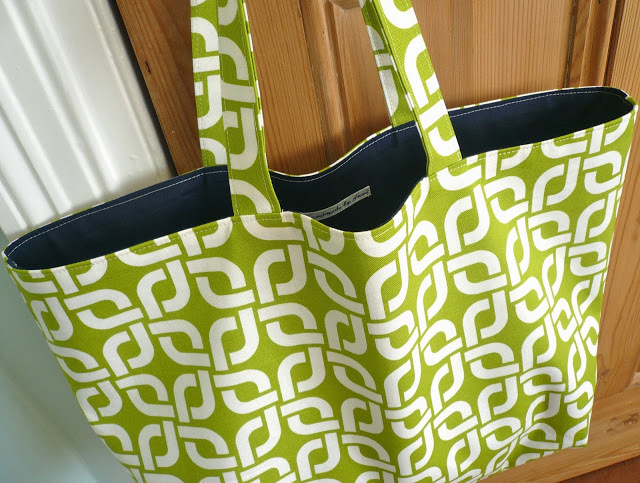 Make a reversible shopping bag with this tutorial from Handmade Jane. 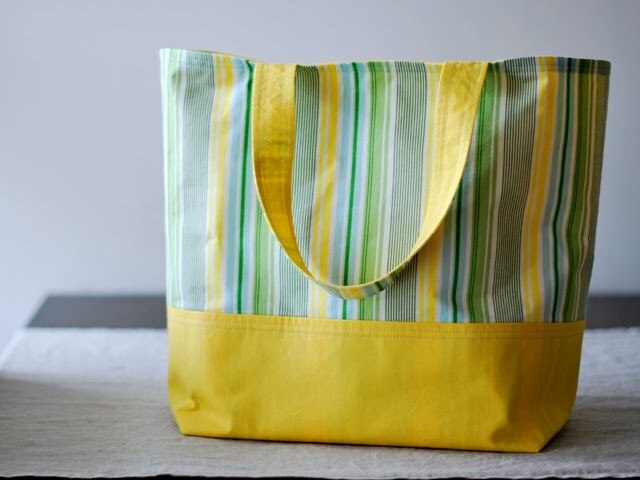 Create a bright and cheery two-toned bag with Bijou Lovely’s Market Tote Tutorial.